To help investigate the relationship involved as inputs to health risk assessment, to assist in establishing and monitoring air quality standards, and to help evaluate and compare transport policies and plans. 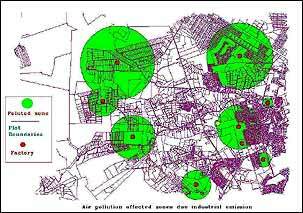 For all these purposes information is required not only on temporal trends in air pollution but also on geographic variations. To provide improved estimates of exposure for epidemiological studies. Dimensioni- India's premier CAD services & solutions company. Dimension India is the world's leading CAD services provider to Companies, AEC firms, real estate companies and municipal governments. The company serves its customers all over the globe through its offices in New Delhi. Our services are best-in-class and are backed by glowing customer references. Please feel free to get in touch for a discussion. ISO 9001 : 2000 Quality Certified Company. © 1999 - 2019 Dimension India Networks Pvt. Ltd.